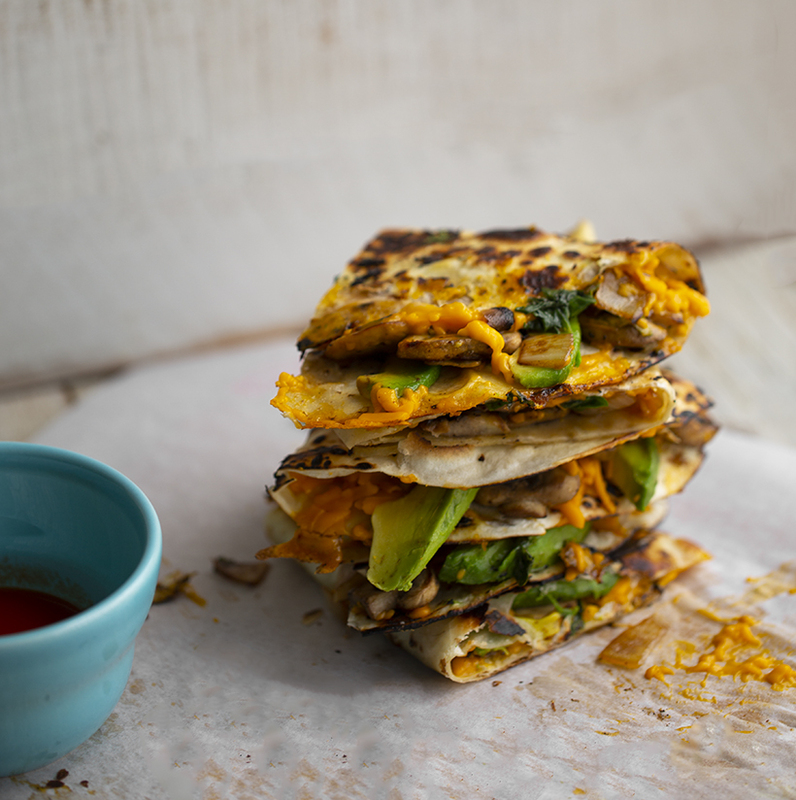 If you are looking for a fast, flavorful and fun meal or snack, try these Mushroom Avocado Quesadillas. Pair them with a bit of salsa or hot sauce, maybe a side salad or veggie of choice. 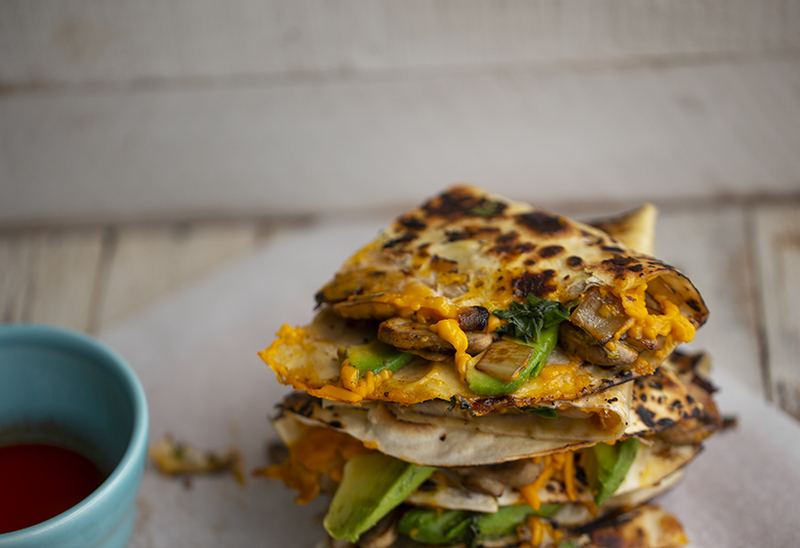 They are super fast to whip up and include healthy whole foods like avocado and savory mushrooms..
Vegan Quesadillas. 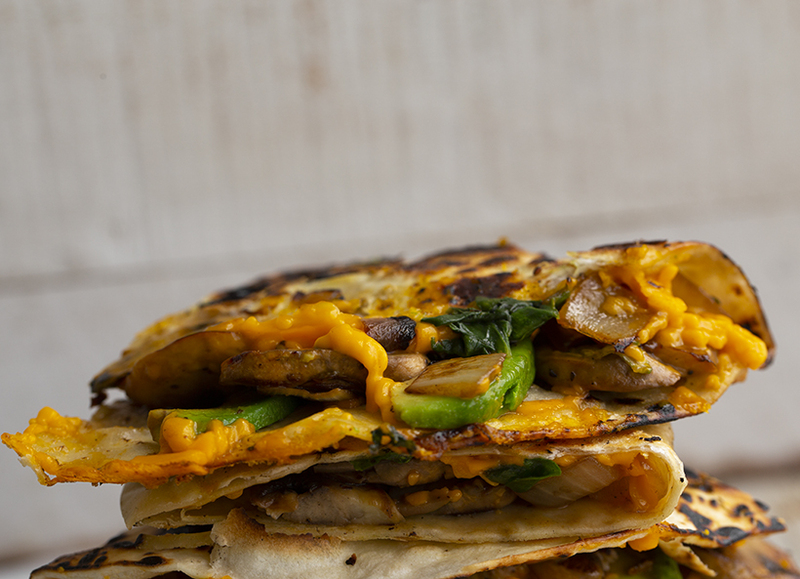 Melty cheddar cheese meets savory mushrooms and buttery avocado. 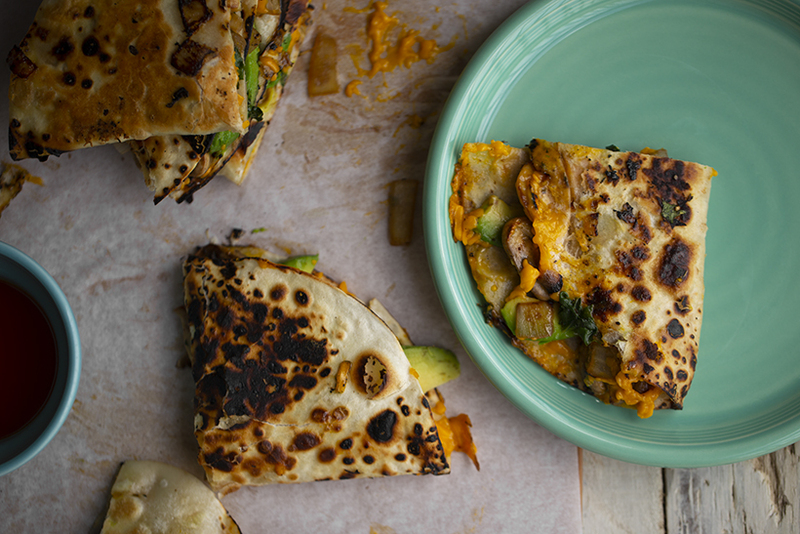 You can use any tortilla you'd like too! You can even play around with different vegan cheeses. Try pepper jack or even change things up by subbing in hummus for cheese. Which cheese? I used the So Delicious brand of cheddar cheese shreds for this recipe. But there are so many vegan cheese options out there these days. Daiya's pepper jack shreds would also work well. Or the spicy tomato CHAO cheese slices. Browse a few faves here. 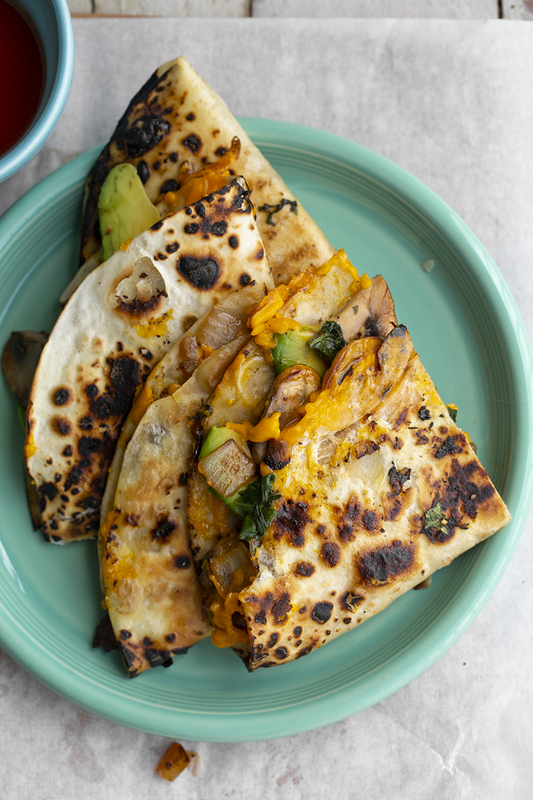 If you want the bubbly blackened look to your tortillas, you can place the tortillas on a gas stovetop for a few seconds before placing them in the hot skillet for filling - - do this with extreme caution though. I love the texture the open flame creates, but you can also achieve this right in a hot skillet when you use enough oil or vegan butter. Or if you are grilling outdoors, that works too! The buttery avocado adds a punch of richness and healthy fats. Plus it pairs so well with the flavorful cheese and skillet shrooms. 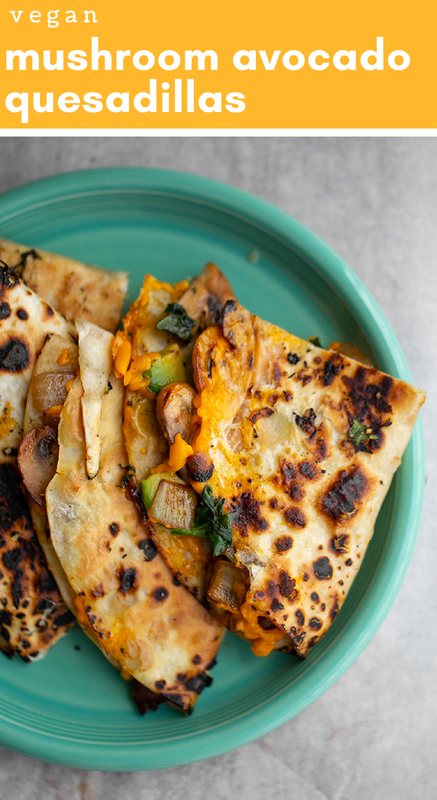 These easy and flavorful quesadillas are a delicious vegan meal or snack. 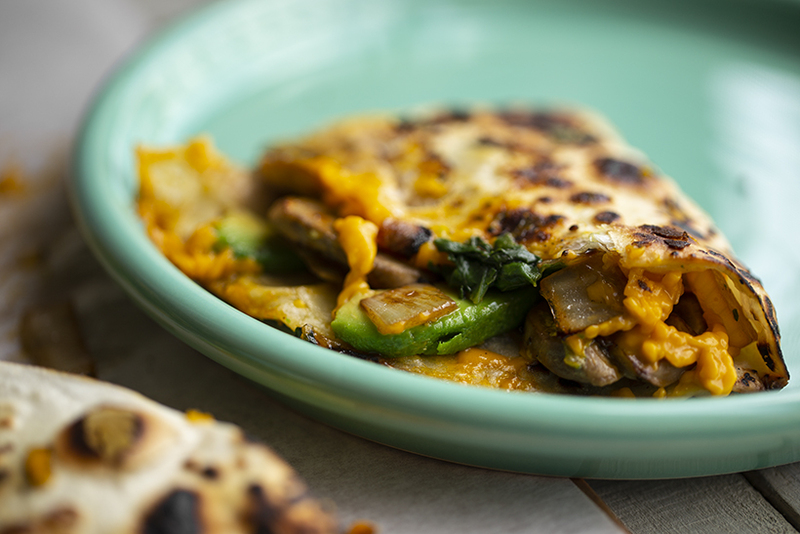 Avocado, mushrooms and melty cheese. Warm a large skillet over high heat. Add the olive oil, onion and mushrooms. 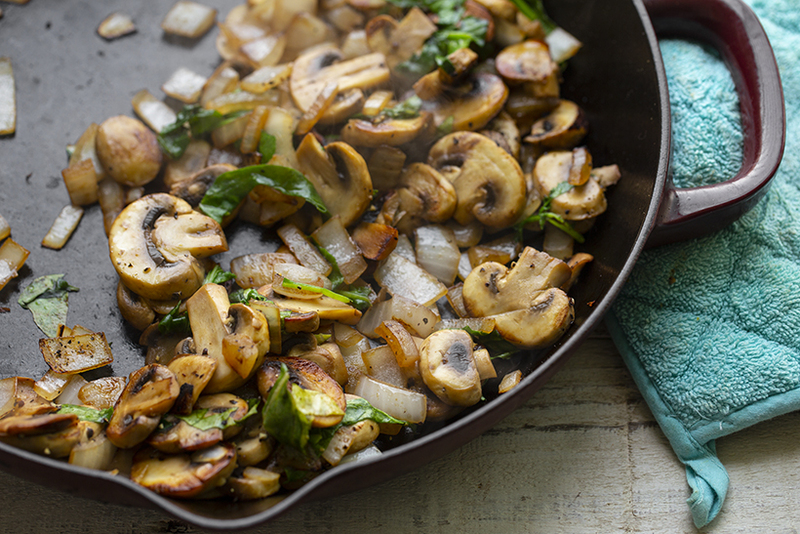 Saute for 2-5 minutes, or until mushrooms are soft and tender. Add a handful of chopped spinach, fold in to wilt. Add salt and pepper to taste. Transfer mushroom mixture to a side dish. Add another drizzle of oil or vegan butter to the pan. 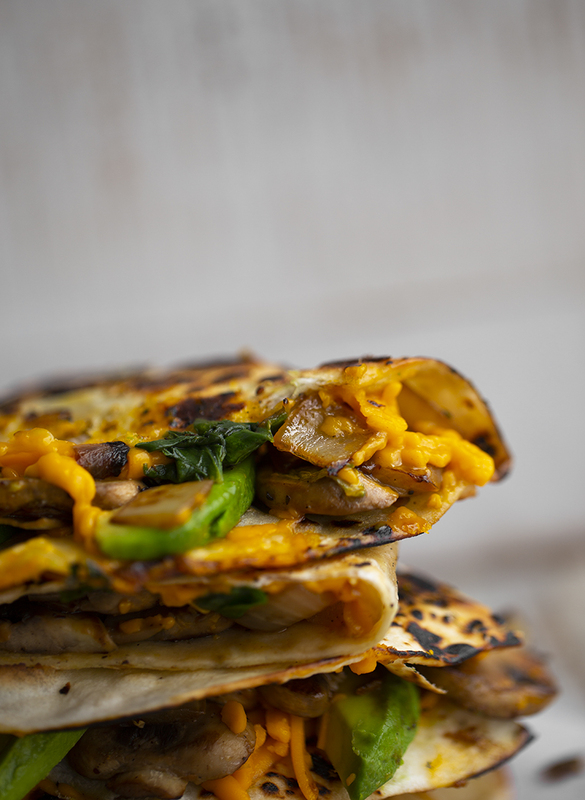 Add the tortilla, vegan cheese, sliced avocado, more optional spinach and some of the skillet mushroom mixture. Add another tortilla over top. Cook for 2 minutes on each side. Allow enough time and heat for the cheese to melt. Applying a bit of pressure via a heavy lid can help melt cheese.